On Thursday, Microsoft Corp posted a rise of 3.6% in profit for its fiscal second quarter, helped from growth in its rapidly growing business of cloud computing. However, the company experienced a small decline in its margins for its unit that includes Azure the company’s flagship cloud platform. Shares at the biggest software business in the world were 1.1% higher in trading afterhours on Thursday. Since he took charge of the company in 2014, CEO Satya Nadella has been able to steer it toward mobile applications and cloud services and away from its software business that is slowing down. 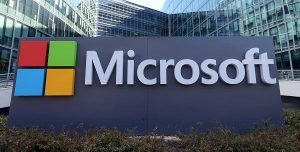 Microsoft’s gross margin in its commercial cloud business that includes Azure as well as versions of its Office 365 online product sold to companies, was 48%, said the company’s investor relations chief Chris Suh. That was down from the 49% from the previous quarter but up compared to the same quarter one year ago of 46%. The figure is followed closely by company investors as an indication of actual profit made by cloud products, which Microsoft does not make public. Microsoft’s Azure competes with offerings in cloud infrastructure from the market leader Amazon.com, IBM, Oracle and Google. On the conference call for earnings, CFO Amy Hood did not disclose gross margin for Azure, but said a material improvement has been made since the previous quarter. Revenue from the Intelligent Cloud business at Microsoft, which includes Azure, as well as other software that is data center, increased by 8% to over $6.9 billion during the quarter. Analysts were expecting $6.73 billion from that business. Microsoft estimates that for its next quarter the Intelligent Cloud arm would be between $6.45 billion and $6.65 billion in revenue. Sales of its Office 365 to companies increased 49%, which was down from an increase of 54% during the previous quarter. Like with Azure, the company does not release absolute figures for sales of Office 365. Sales in the personal computing business for Microsoft, which includes Windows software, fell by 5% ending the quarter at $11.8 billion. That figure just beat the rate that sales of personal computers fell during the quarter. With his push into mobile and cloud, Nadella orchestrated the biggest ever Microsoft acquisition of $26.2 billion for LinkedIn, with the deal closing last month. LinkedIn only contributed $228 million in revenue for the quarter, said Microsoft, but posted $100 million net loss equal to one cent a share. Excluding LinkedIn as well as other items, earnings per share at Microsoft were 84 cents during the quarter.